Partnership between the SESC and the NGO ART for The World, an exhibition, curated by Adelina von Fürstenberg in collaboration wiyh Peter Nary, presents works by 11 Indian artists emblematic of the new generation. 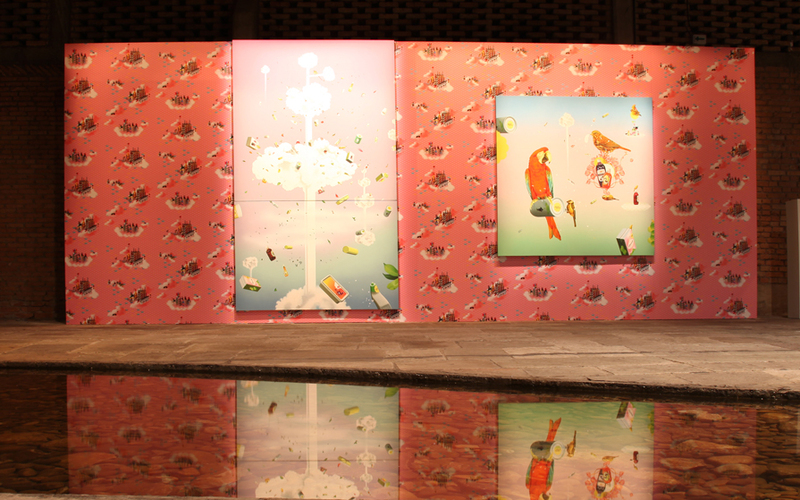 After its first edition in Milan  2 Urban Manners – Contemporary Artists from India arrives in Brazil on January 21. With completion of the SESC, the show has design ART for The World, an NGO affiliated to the UN body, UNDPI – United Nation Department of Public Information. 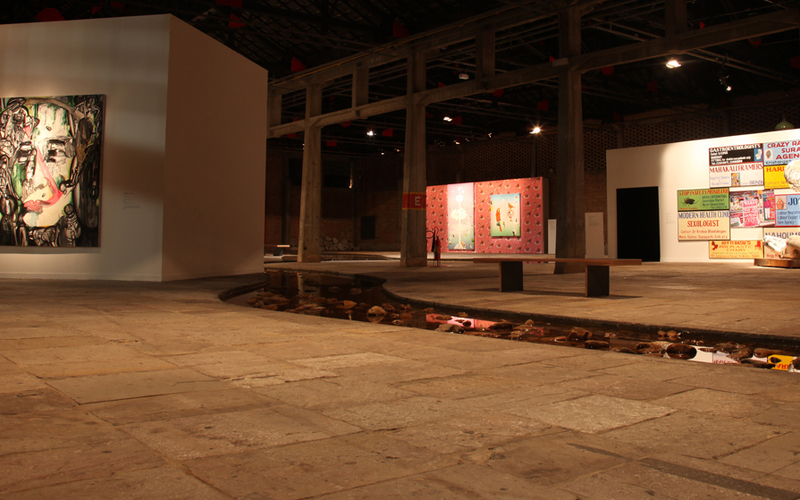 For this exhibition in Sao Paulo, a new series of works was selected by Adelina von Fürstenberg, a renowned Swiss curator of Armenian origin, founder of the Centre d’Art Contemporain Genève and ART for The World, in partnership with Peter Nagy, critical American art in New Delhi and resident expert on contemporary Indian art. 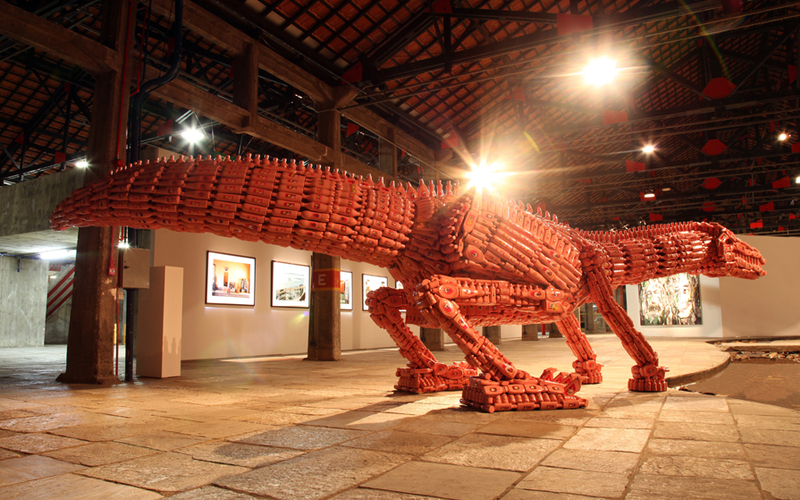 With the idea of ​​revealing the striking contradictions of India from global issues such as immigration, environment, pollution, consumerism, gender, poverty, and loss of traditional values, local artists expressed themselves in sculpture, painting and video art. At the forefront of contemporary art, these Indian artists into question the specifics of a country in constant modernization, but is still known for extreme poverty and the philosophical and religious traditions. According to Adelina, “this is an exhibition of extreme importance.The importance of Indian artists gathered at the show could be compared to the meaning that the artists had pop in his time. 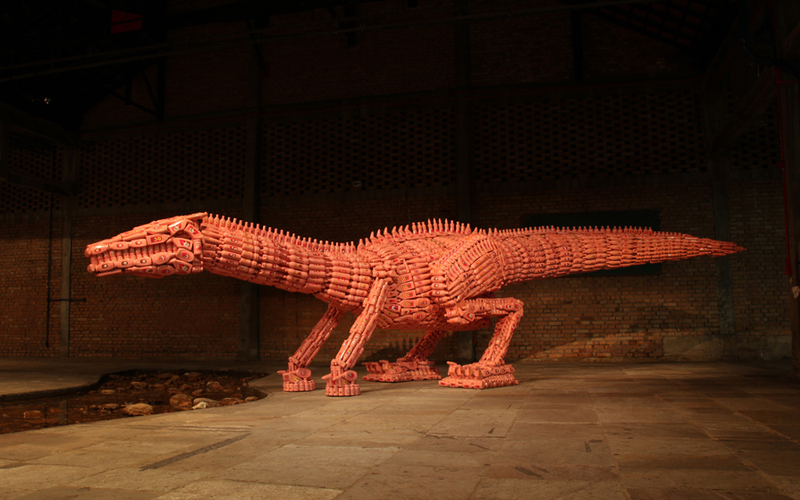 Now in your Neighborhood [now in your neighborhood] of Thukral & Tagra - Giant sculpture of a dinosaur color pink made ​​of plastic bottles, the work embodies the aesthetic consciously playful duo of artists at the same time addresses real issues of waste and excess production.